CHARLOTTE, N.C., Jan. 26, 2016 � Fashion designers who have a deep connection to the South and want to showcase Modern. Southern. Style. can have their clothes and accessories sold at Belk and on belk.com in spring 2017 if they�re selected as winners in Belk�s fourth annual Southern Designer Showcase. Charlotte-based Belk is seeking Southern designers of women�s apparel, men�s apparel, kid�s apparel, shoes and women�s accessories to add to its existing collection of brands. Applicants can visit belk.com/southerndesigner to submit their applications starting today through March 31, 2016. Designers must be 18 or older and currently live in the South or have a strong connection to the region. A panel of senior Belk executives in Merchandising, Marketing and Fashion Direction will select a group of finalists by April 20, 2016, and invite them to present their designs at Belk headquarters in Charlotte, North Carolina, on May 19, 2016. The 2016 Southern Designer Showcase winners will be notified following their presentations at Belk headquarters in May. Along with a cash prize, they will have their collections sold in select Belk stores and on belk.com in spring 2017. Winning collections also may be featured in upcoming advertising campaigns. 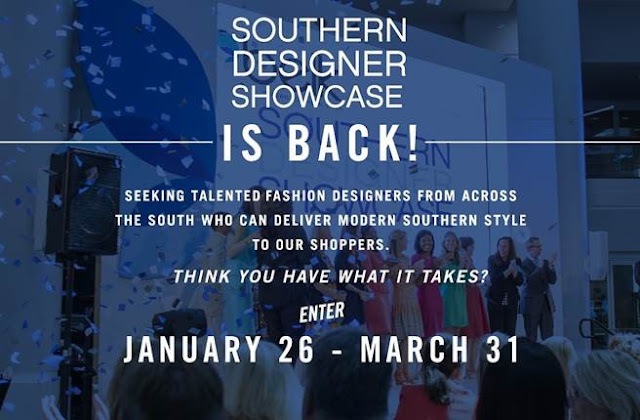 �We are excited to see what this year�s Southern Designer Showcase applicants have to offer and are looking forward to building relationships with our 2016 winners,� said David Zant, Belk�s president and chief merchandising officer. Belk, Inc., a private department store company based in Charlotte, N.C., is the home of Modern. Southern. Style. with 296 Belk stores located in 16 Southern states and a growing digital presence. Belk is a portfolio company of Sycamore Partners, a private equity firm based in New York. Belk and www.belk.com offer a wide assortment of national brands and private label fashion apparel, shoes and accessories for the entire family along with top name cosmetics, a wedding registry and a large selection of quality merchandise for the home.